Numerology is a science which is concerned with study of numbers and manner in which they influence the life of an individual. Each letter has a numeric value that provides a related cosmic vibration. The sum of the numbers in your birth date and the sum of value derived from the letters in the name provide an interrelation of vibrations. These numbers show a great deal about character, purpose in life, what motivates, and where talents may lie. Experts in numerology use the numbers to determine the best time for major moves and activities in life. Numerology can be used to decide when to invest, when to marry, when to travel, when to change jobs, or relocate. • Which day is lucky for you? • Whether your name corresponds to your ruling number? • What change in name should be done for getting good results? • What is the lucky number for your car? 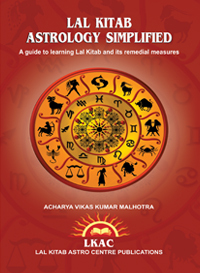 There are many people who have an intense interest in learning numerology. For such students, we have arranged online as well as offline courses. The learning outcome of these courses would be understanding of various concepts of Numerology and it will also enable students to use Numerology for getting best results of vibrations of numbers. Today we are going to move into a new journey. 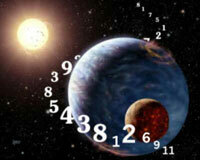 This journey is into the mystery of numbers discovered with the help of Numerology. Numerology is the study of numbers that helps determine and reflect a person characteristics, talents, motivations and path in life. Letters of the alphabet are represented by certain numbers, and thus the sum of numbers in your name as well as your birth date has a direct cosmic relation to themselves, and to who you are. The reason why I decided to give Numerology readings was first of all it is very scientific and logical and secondly it is helpful for those people who do not have accurate time of birth. Everyday many people contact our astrology centre and they want solutions of their problems but many of them do not have accurate time of birth. They know the date and year and sometimes they also do not remember the year also and they want solution of their problems. Numerology in such cases proves to be very useful as it makes it possible to analyze their numbers and letters in their name to recommend changes in their name or advising use of particular numbers to maximize their potential. Numerology says each number has its own vibration and if you are able to gauge your favorable number then you can use that number in your dealings, in your future car or vehicle number, in choosing different color combinations, mobile number etc. In addition I have seen that many people enter into partnerships and monetary deals with persons who do not match to their lifepath number and afterwards it brings failure and depression only. The chances of success can be increased by choosing those people for dealings who vibrate positively with your own numbers. I will give you an example as to how numerology gives its predictions. The most important number for an individual is his or her LIFEPATH NUMBER. This concept has always fascinated me and this number is derived from an individual date of birth. For example if you are born on 01, 10, 19, or 28, your lifepath number would be Number 1 which is influenced by Planet Sun. This single number can tell you a lot about yourself and like this number there are other numbers also like Destiny number, Expression Number etc which can be calculated from your date of birth and name and can be used to decode your future life path. Based on such readings remedies are suggested to the respective client. I would share implications of different lifepath numbers ranging from 1 to 9 in future posts. ARTICLE 2 - NUMEROLOGY PREDICTIONS FOR YEAR 2017 – KNOW WHAT 2017 (Year of Sun) HAS IN STORE FOR YOU? Year 2016 has come to an end and many of you must be curious to know where things are heading in 2017. Are we trying to break new ground, or is it a case of ‘more of the same’? Are the changes we are all experiencing helping us to move in a more positive direction? When looking at 2017 in the context of numerology, we can gain insight into the universal energies at work during the year 2017. To begin with, let me remind you that year 2017 is Number 1 (2+0 + 1 + 7 = 10 = 1) governed by Planet Sun. People born on 1st, 10th, 19th and 28th are influenced by this number. One is a number of beginnings. 2017 will give an opportunity to us to start something brand new, something that expresses our uniqueness that uses our leadership abilities, that opens us to new perspectives. 2017 as a Number One year is a time to think and act independently. It’s also a year to put our leadership abilities and unique talents to use in the greater world, to practice cooperating without losing individuality. The positive side of number 1 is that it symbolizes leadership while the negative aspect is that it may tend to be aggressive, cruel and violent for achieving its objectives. The impact of positive attributes of Sun would become more pronounce in later part of 2017 when the Sun will gain more strength with the passage of time. In this post, I am analyzing in brief what would be the impact of New Year (2017) individually on each number from 1 to 9. I am suggesting some remedies also to ensure that persons born under each number from 1 to 9 are able to fully optimize the positive results of year 2017 for them. People born on the 1st, 10th, 19th and 28th in any month are termed as number 1 people and are ruled by Sun. As 2017 totals to number 1, so you could look forward for better job and career opportunities in this year. The key is cashing on the opportunities and you should be ready for a job change and when the opportunity comes, grab it as soon as possible. You should also take care of excess expenditure. Leaders can expect to move into new areas through getting the support of their subordinates. However you should take note of not causing damage to you by your excess anger or anxiety. Number 1 is the number of creation, consciousness and it is the number which represents spirits. This year is very important for you. All those difficulties you have been facing from the last some months can be removed. I would suggest you to maintain good relations with boss and father because sun represents father also. Avail your opportunities to make life stable. Give your 100% in the current year. You could expect to gain very good returns during later half of the year 2017. Suggested Remedies to get better results - Wearing red or orange will be beneficial. Worship Lord Shiva and Sun to get fruitful results. Offer water to Sun on daily basis from a copper vessel. People born on 2nd, 11th, 20th and 29th of any month and they are ruled by Planet Moon. The number 2 asks you to follow your goals with patience in spite of the many problems you are likely to face on the way. Do not expect instant success in whatever you do in the year 2017. Follow your objectives with diligence and endurance and you are sure to succeed. If you are planning for a new job or career growth, 2017 is the right time for it. if you want to succeed, you have to assess your capabilities and use them to your advantage. Do not make the mistake of running after things which are not to your liking or which are against your basic traits. Personal year number two is asking you to do only those things in 2017 where you can excel and it is imperative that you have a firsthand knowledge of your full potential. Suggested Remedies to get better results- White, maroon, and cream color is auspicious for you.· Be cautious of the people who have 4 and 7 as their birth number. Keep White handkerchief in your pocket and worship Lord Shiva through offering abhishek at energized Naramadeshwar Shivlinga to have a peaceful life. People born on the 3rd, 12th, 21st and 30th in any month are termed as number 3 people, ruled by the planet Jupiter. Number 3 shares some of the characteristics of number 1 and both are compatible with each other. Both the numbers denote stimulation and action. Number 3 stands for transformation and development to a large extent. You should be ready for enormous changes in life if your personal number happens to be number 3 in 2017. The main quality of number 3 people is that they are hard working and enterprising in nature though they may not be very good in expressing themselves in matters of love and affection. I have analyzed many numero-horoscopes and I can say with certainty that the main competitor of number 3 people is they themselves. They set a very high bar for achievement which motivates them to give their best to their venture. In year 2017, number 3 people are advised to use their imagination and innovation in achieving their objectives without straining them too much. Suggested Remedies to get better results – Use white, orange, yellow and red colour. Have kesar tilak and offer water to a peepal tree regularly. People born on the 4th, 13th, 22nd, and 31st of any month are termed as number 4. They are ruled by Uranus or Rahu. Number 4 is indirectly influenced by the magnetic rays of the Sun. 2017 would be a good year for number 4 especially if you want to achieve your clear cut future goals. Uncertainty and inability to act according to plan would not give you positive results. Number 4 people would have good job prospects in year 2017 and those who are wishing to tie the knot this year, they may be able to realize their dream. Stop being lazy and try to move your personal pleasure aside. Only hard work and good organizational skills will help you to achieve these goals and high results. You need to conduct properly your own affairs. Suggested Remedies to get better results – Be cautious in dealing with people having 4 or 8 as their personal number. Offer blue flowers to Maa Saraswati. Do not take electronic items as gifts from anyone. People born on the 5th, 14th, 23rd in any month are termed as number 5 and they are ruled by Planet Mercury. It’s time for new friends, travel, new ideas and possibly a change of place of work. It is possible that you will want to change the previous place of residence, you will want to buy a new house or to move to another city or country. It’s time for changes, they will open up new opportunities for you to grow and develop. It’s time to abandon everything old and unnecessary and start a new life. This year you may face problems in new ventures. Reliable people will not help you. From August 12 to September end, take more precautions. People in the job can get the transfer. The correct use of language will lead to your advancement. Suggested Remedies to get better results - Wear emerald. Green, brown, and grey are special colors for you. Try to wear these colors on the top priority. Always carry a green handkerchief along with you. Worship Lord Vishnu and offer Tulsi patra (basil leaves) on Wednesday to Shaligram. Marriage bells can ring for some. There are chances of Love and marriage this year. Health may suffer from seasonal illness. Brace yourself to work hard for achieving desired results. On the flip side, year 2017 would force you to give more importance to the requirements of other people while your desires may take a backseat. This is likely to happen in the various aspects of your life. They may be your social life, family relationships, career or even romantic alliances. Take care of your food habits and work hard for your fitness. Suggested Remedies to get better results – You should wear an Australian opal. In colors you can wear white and pink. Worship Maa Lakshmi to get wealth. People born on the 7th, 16th and 25th in any month are termed as number 7s, who are ruled by Neptune or Ketu. Number 2 ruled by Moon has an influence on number 7. Last few years of your life may have been filled with anxiety and hard work but this year, things would change for better. There can be benefit from the government and foreign trade. You can spend on new home or Property. There will be spiritual development. You can go for pilgrimage. You can overspend so check your financial status. New relation or love affair is possible. Good news for people planning for a baby. Finances would improve after August 2017. Suggested Remedies to get better results – Do not take excess stress. Do meditation and make use of Kesar Tilak. People born on the 8th, 17th, and 26th in any month are termed as number 8s, who are ruled by Saturn. If you have planned and prepared everything in advance, if you worked the whole previous period to achieve these goals, this year should be for you very promising. Now your ambition, wise judgment and good business qualities are of greater ever value. Keep moving in the right direction and success does not make you wait for long. As 2017 comes to number 1 which is not compatible with number 8 as number 1 is ruled by Sun while number 8 is ruled by Saturn, there is bound to be obstacles in your path of progress but the key lies in not straining yourself while at the same time taking decisions with cool mind. Depression, stress and anxiety would lead to bad decisions. People in a job may face opponents. Promotion can delay. Have patience and after August 2017, results will start coming. Suggested Remedies to get better results - For you Saturdays & Wednesdays are fabulous. Most importantly, if dates like 8, 17, & 26 falls on these weekdays. Always keep a Black piece of cloth with you. 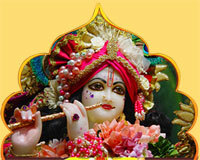 Offer telabhishek to Lord Saturn and offer mustard oil Deepak to peepal tree on Saturday evening. People born on the 9th, 18th and 27th in any month are termed number 9s, who are governed by Mars. For native with number 9, this year will be grand Numerology 2017 this year can prove to be a turning point for you. You can be rewarded for your efforts. You may get promoted in a job. Confidence will help you. Heath will improve. Desires and ambitions will be fulfilled this year. Money matter may improve but so do expenses. You can review your past mistakes and try to learn new skills and enrich your knowledge base. You can try creative ways of doing things. The main thing is that you should enjoy what you are doing. When you are clear about your goals, other things follow. You can find out methods to achieve your objectives in the next nine year cycle. Suggested Remedies to get better results - Worshipping Lord Hanuman on daily basis will be beneficial. The colors like red, orange and maroon are favorable. Wear red triangular coral and take care that you do not drive rashly. For personal numerology consultation, you can visit our website. Wishing you a very Happy New Year 2017. Numbers play an important role in our life. Everything in our life is related or connected to numbers in some or the other way, like time of birth, date of birth, year of birth, house number, vehicle number, phone or mobile number. Not many of us are fond of numbers in mathematics. But in numerological world, these numbers play a very significant role. We are living in an electronic age. The whole world is taking a new turn with every fraction of time. Today with the increasing globalization, the world has been contracted and new means of communication has facilitated better communication. Mobile phone can be seen as the most used present day phenomenon in the current scenario. You carry your phone with you all the time, 24x7. Your mobile number is more than just a number, it is your identity. You are related to it. It is related to you. Hence, if your phone number is lucky enough for you, then your phone can be your lucky charm which you can carry with all the time. “Think about That”. It is very important for business people to choose the right phone number as the right number lead to frequent calls and good deals. In this post, I am sharing you some of the tips for choosing the right mobile or phone number for you. In order to determine the numerological number of your mobile phone, you need to make a sum of its component digits. For example your mobile phone number is 9819111223 which will be equal to 9 +8 +1 +9 +1 +1 +1 +2 +2 +3 = 37, 3 +7 = 10 or 1. This is a strong number, which increases your energy and helps to influence others. But be careful, not to rely too much on the happy coincidence of circumstances. The basis of all numbers is one-the basis of all life is one. This number represents all that is creative, individual, and positive. This is a great number of businessmen and career builders, but not the best for those who are in search of love. This number is romantic and perfect for people who want to meet love. This number gives such qualities as kindness, diplomacy, tact, adjusts to cooperate. It is good for the strong, opinionated people, and also all those, who are associated with sales. The qualities of number 2 is more on the mental than the physical plane and they are seldom as strong physically as those born under the number 1. This number has the characteristic of being oversensitive, lack of self confidence and inability to execute plans in the desired manner. This number tells about creativity and fun, so it is suitable for artists, musicians and young people. It inspires, gives originality and popularity. This number is best to choose for a writer or anyone whose work involves writing. This number is also suitable for people in law profession or teaching and consultancy. This number makes the person work on attention to details and the people governed by this number dislike being under an obligation to others. This is the number of being exceptionally independent and work under least restraint. The number makes the person ambitious. Number 4 people seem quite naturally to take a different view of anything that is presented to their minds. They instinctively rebel against rules and regulations, and if they can have their way, they reverse the order of things, even in communities and governments. This number represents practicality and sometimes the person can go to an extreme extent using any means to achieve set goals. Sometimes in the desire for achieving their goals, they may ignore their family and friends. This number brings adventures and change. This number motivates an individual to make money by new inventions and discoveries. Owners of this phone number have the elasticity of character. They can rebound from heaviest blow also and nothing seems to impact them for long. This number is for people who love freedom, traveling and living alone. This number relates to personal freedom. If the individual having this number is not able to maintain emotional balance and stability, it may have an adverse impact on the love and family life of the individual. This number shows quickness in decisions and may be the decisions are taken impulsively also. People ruled by this number may become extremists. If they are by nature good they remain so; if bad, not all the preaching in the world will make the slightest effect on them. This is the best number for a family oriented people. It brings care and protection, strengthens family ties and friendships. This number is also suitable for business travelers. Number 6 is governed by Planet Venus and thus it gives magnetic qualities to the individuals ruled by this number. They often attract others to them, and they are loved and often worshipped by those under them. They are very determined in carrying out their plans, and may, in fact, be deemed obstinate and unyielding. This is a strong and somewhat mystical number, which is made for students and great thinkers. It has positive effect on your internal wealth, gives stability and makes you more balanced. People ruled by Number 7 usually have remarkable dreams and a great leaning to occultism. They have the gift of intuition, clairvoyance, and a peculiar quieting magnetism of their own that has great influence over others. As a class they care little about the material things of life. They often become rich by their original ideas or methods of business, but if they do, they are just as likely to make large donations from their wealth to charities or institutions. Number 8 denotes hard work and perseverance. Number 8 people generally are either very successful or a failure. There is no middle path for them. If they are hard working, they may achieve success in business. This number is suitable for ambitious people with positive effect on career and financial situation. This number indicates the practicality and materialism which makes it not too good for people that are focused on personal growth. Number 8 people if take a work in their hand; they try to complete it with full enthusiasm despite the opposition. This sometimes may result in bitter enemies for them. Idealism and compassion are the main characteristics of this number. This number may be chosen by a charity worker or health facilities. This is one of the luckiest numbers; its owners will often experience the favor of fortune. At the same time, the number is not very suitable for people with health problems, as well as all those who want to increase their financial condition. I would advise all the people to choose the right mobile or phone number for them especially those people who are doing business primarily using their mobile. For this purpose, book a specific phone numerology consultation at our website in which we will advise whether a phone number is suitable for you or not. Please keep in mind that a wrong mobile number combination is capable of spelling doom. For the benefit of all, I am sharing some tips from my experience which can be used to decide about a particular mobile or phone number. First of all you should know about your ruling number and destiny number. Your ruling number is addition of your date of birth. For example, you were born on 05th October, 1985. In this case your ruling number is 5 (0+5 = your date of birth) and your destiny number is the total of your date of birth. For example 05.10.1985 = (0+5+1+0+1+9+8+5 = 29 = 11 = 2). Thus from this example your ruling number comes out to be 5 which is governed by Mercury and your destiny number is 2 ruled by Moon. Secondly, just add all the 10 digits of your mobile number and convert this addition into single digit. For example your mobile phone number is 9819111223 which will be equal to 9 +8 +1 +9 +1 +1 +1 +2 +2 +3 = 37, 3 +7 = 10 or 1 which is ruled by Sun. Now you can choose a number which vibrates to your ruling number and if possible destiny number also. We also see whether your name number also matches with the mobile number you are using or going to use. I am not dwelling on the name number because in that case it would make the calculations more difficult for you to understand and the length of this post would also increase. I would strictly advise you to choose a mobile number which matches with your ruling number. If you are not able to find the perfect ruling number match, choose a neutral number but certainly do not go for unlucky or enemy number to your ruling number. Try to avoid combination of 4 and 8 for the mobile number. If it is possible try to avoid the repetition of numbers available in your Date of Birth. For example, in the above date of birth 05.10.1985, you can see that number 5,1,9,8 are available. Avoid repetition of such numbers in your mobile. All those numbers which are ascending, lower number to higher will bring graceful progression in life. Any number that contains Zeros may be very lucky or very unlucky, golden numbers with Triple or Tetra Zeros, like 000, 0000. Choose these numbers very carefully. Mobile numbers with combination of more 5s and 2s will bring instability in life, if both 5 and 2 come together repeatedly in a number it will degrade the relations between a husband and wife. Persons with date of birth 4, 13, 22, 31, should try to avoid a total of 4 and 8 in their mobile number. If possible avoid the repetition of 4 and 8 in the phone digits also. Hope you find the post interesting and useful. For specific phone or personal consultation for mobile number, you can book appointment at our website. If you want to learn numerology, you can enroll in our numerology courses (online or offline) by visiting Learning Numerology tab at our website.